How DNA sequencing provided the evidence that humans and Neanderthals interbred. 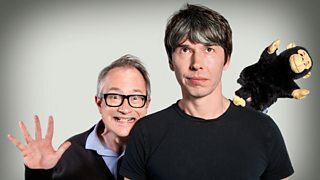 Brian Cox and Robin Ince are joined by Ross Noble to ask whether humans are truly unique. Brian Cox and Robin Ince ask whether human beings are still evolving? Brian Cox and Robin Ince celebrate Christmas with Mark Gatiss and Steve Jones. Brian Cox, Robin Ince and guests ask whether science needs war to drive it. 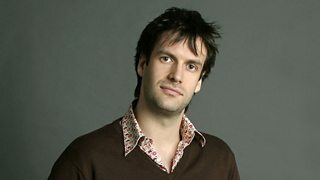 Marcus Brigstocke joins Brian Cox and Robin Ince to discuss the role of science mavericks. Brian Cox and Robin Ince are joined by Ross Noble to look at how modern humans evolved. Brian Cox and Robin Ince are joined by Shappi Khorsandi and ask 'What is race? '.